PRODUCT DETAILS 1.Underwater Housing Provides Full Access To Virtually all Camera Key Controls and Features,You can take Clear Pictures Under the Water Up To 16 Feet 2.Waterproof Case can keeps your Camera safe from water, snow, rain, wind, dust, sand etc.It is also suitable for swimming,diving at sea, camping, boating, fishing or any other water sports. 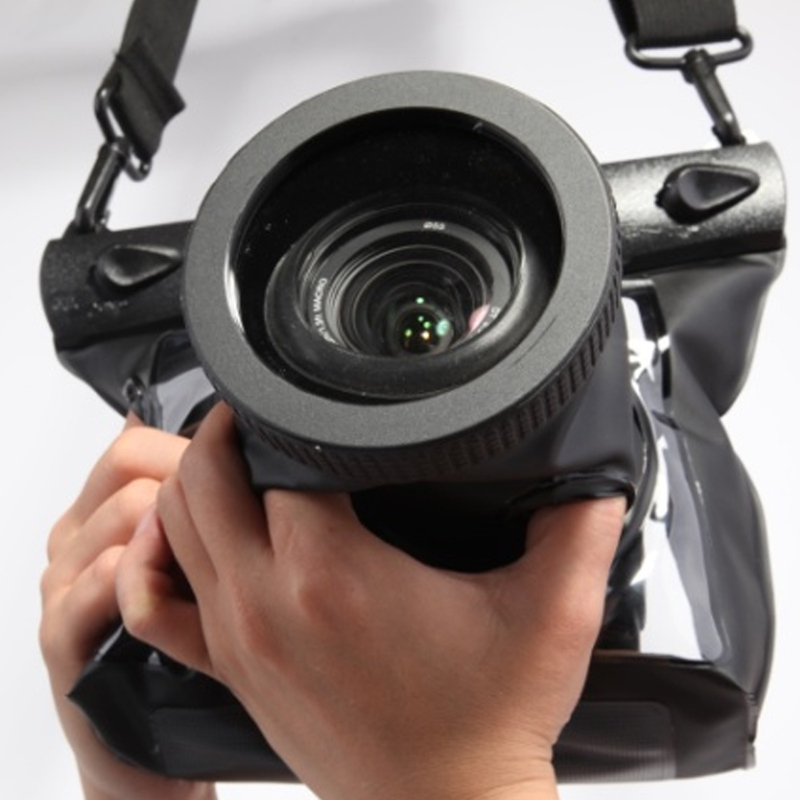 3.High quality polycarbonate + PMMA + PVC + ABS reinforcement material,Fit for most of Digital SLR cameras brands like Canon, Sony, Nikon, Sigma, and Pentax. 4.It is an affordable novelty products, and the Lens cover length is about 14cm. 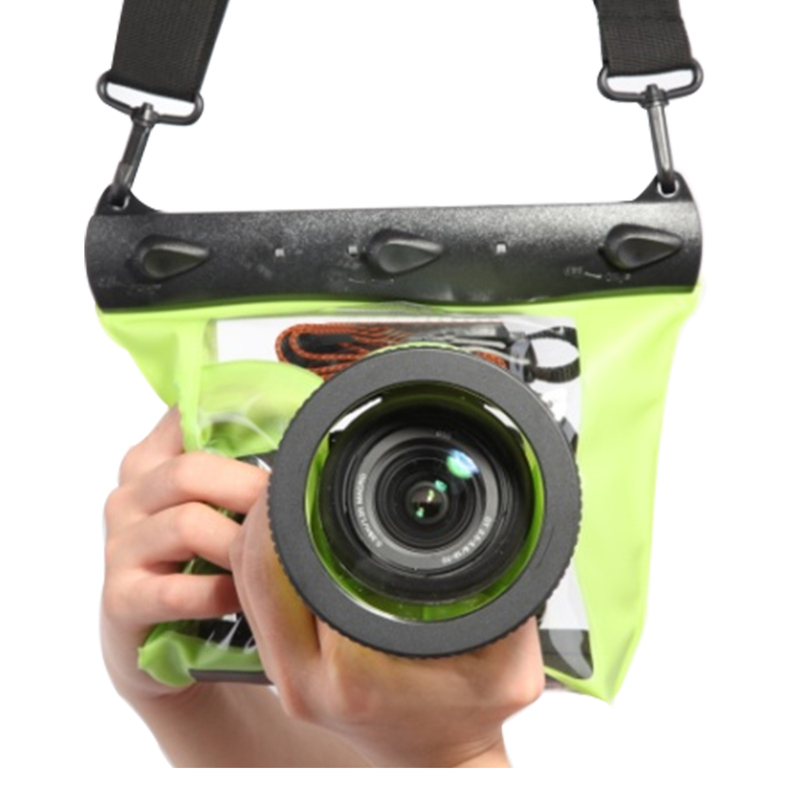 5.Very easy to use .Tips for use: set your camera lens into the bag first, then put into your camera body, install your camera and lens in the bag finally Description： Features: Made of high quality material which has a good function of waterproof. 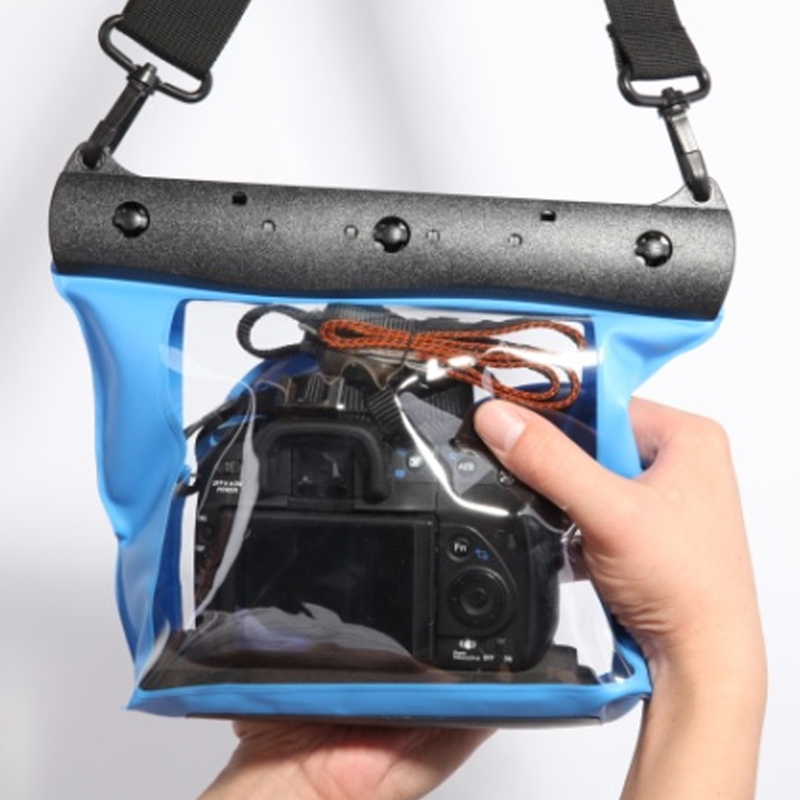 Keeps your Camera safe from water, snow, rain, wind, dust, sand etc.It is also suitable for swimming,diving at sea, camping, boating, fishing or any other water sports. 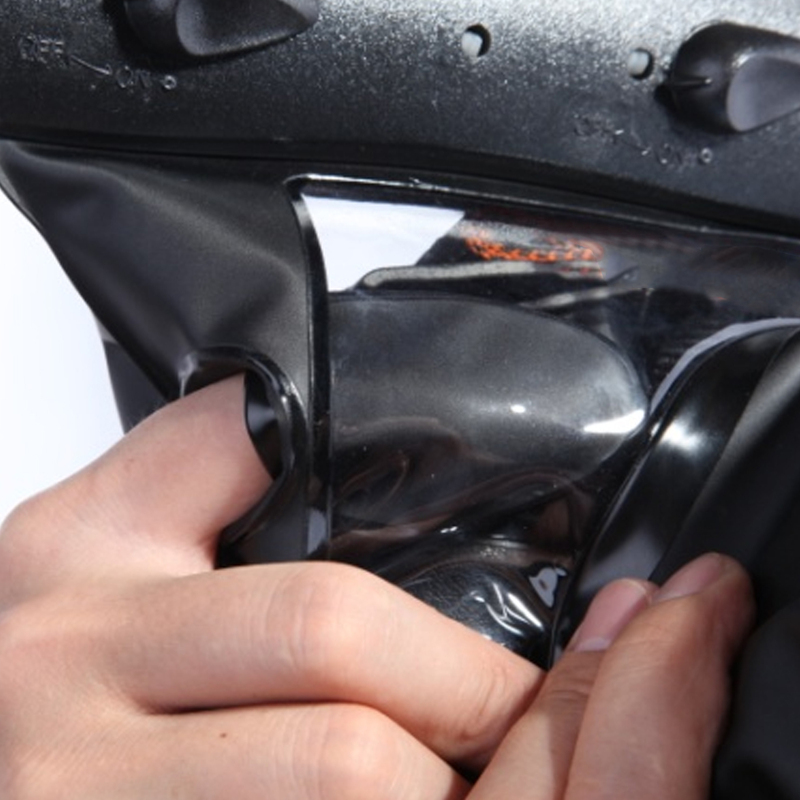 The lens section is designed transparent to make sure take a clear photo just like before. Easy to use and convenient to carry with a strap. Specification: Size: 17.5CM *19CM *7.8CM Lens length: 14CM, lens space: 10CM Transparent lens effective diameter 8CM Material :PVC +ABS Depth: the waterproof within 20m water. Package includes: 1* Camera Housing Case(other accessories demo in the picture is not included.) Note: Please allow 1-2mm errors due to manual measurement. Due to the difference between different monitors, there are color differences, please take the real product as the standard. 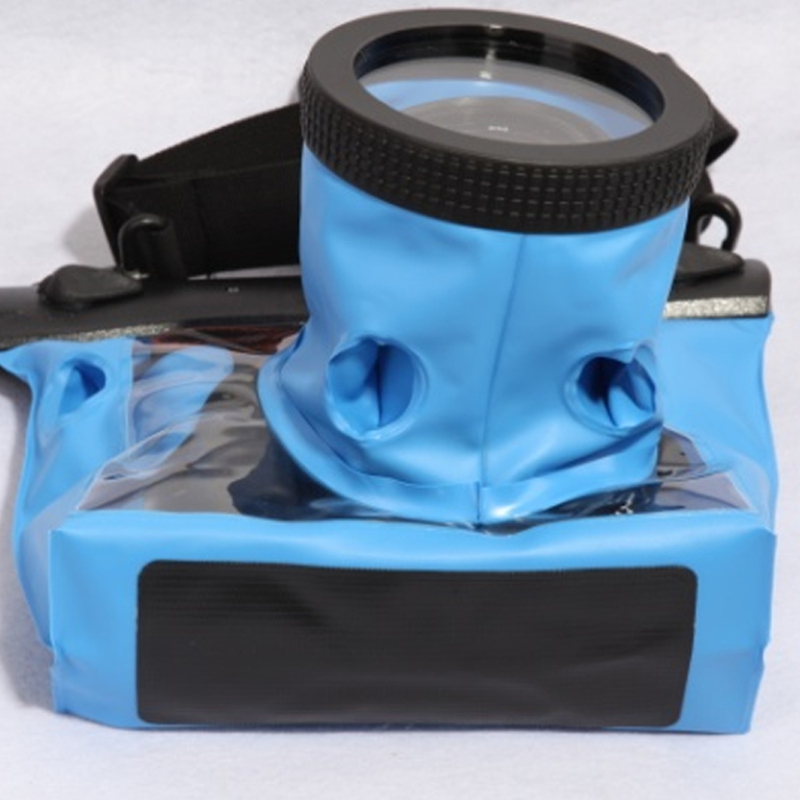 similar items to " Diving Camera Pack Camera Waterproof Pack Advanced Diving Swimming Pack "